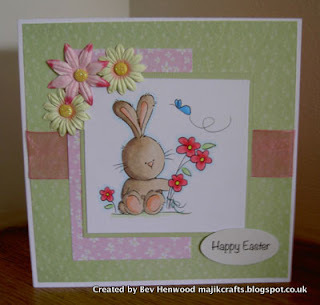 Majik Crafts: Late Easter Card! A lovely card .. .. your image is coloured beautifully! Such a cute little rabbit! Hi Jules, Thank you for your kind words, feeling a little better today - have been cleaning, so can't be that bad!